IKEA has unveiled a range of furniture fitted with wireless charging spots for mobile devices at this year’s Mobile World Congress (MWC). 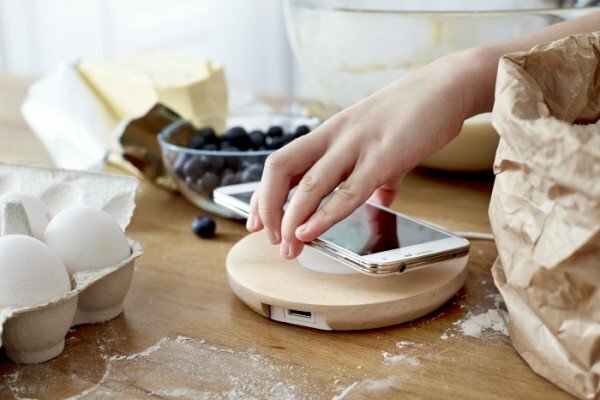 IKEA has used the wireless charging standard QI, which is also supported by Samsung in its latest handset, Galaxy S6. The Swedish furniture giant will sell charging covers for incompatible iPhone and Samsung models. However, it is not the only charging standard in development. Samsung Galaxy S6 will also be compatible with PMA, a rival wireless charger solution provided by the Power Matters Alliance, whose members include Starbucks, Duracell Powermat, Huawei and Lenovo. At the Consumer Electronics Show in January a company called Energous demonstrated WattUp, a non-inductive system which it claims can charge gadgets that lie in a 30ft radius around the charger. “By adding wireless charging to home and office furniture, we minimize the amount of separate chargers needed,” it added. The IKEA range will go on sale in the US in April 2015, the company said.